While many attendees at VRMA’s national conference in Phoenix were excited about the first day, none were ready to have as much fun as Pablow could provide! The Pablow conference staff featuring Steve and Dylan along with our insurance partners from IMG, Wendy and Amanda, were incredibly excited to launch our product in the vacation rental market. After the entire team arrived in Phoenix on Sunday the team quickly gathered all of the equipment we still needed to purchase and set the Pablow booth up in no time at all. At 6:00 p.m. we began our first exhibiting session and met many people who were interested in the product we were launching. 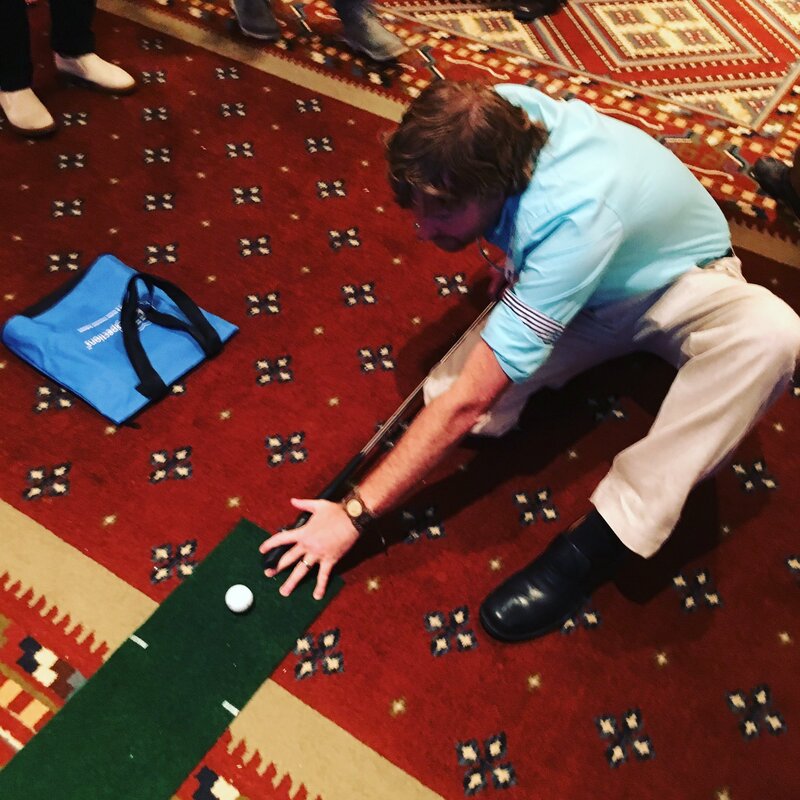 The main attraction in our booth, besides the naturally attractive staff, is called “Putting with Pablow”, a mini-golf game with fun challenges for visitors with varying levels of experience. Take a look at our golf experience on Facebook Live (https://www.facebook.com/pablowinc/videos/942918165812074/) or Twitter (https://twitter.com/pablowInc/status/787802085098041344) . After two successful hours of meeting vacation rental industry professionals including vendors, property owners, property managers, system providers, and retailers Pablow had made enough relationships to call the night a huge success. The entire team emerged from the conference energized by the responses we received from everyone we met. If you’re currently at VRMA’s national conference and interested in talking to Pablow or playing our golf game for a chance to win a $150 Amazon gift card, then we look forward to speaking with you soon!